Beijing, China: September 13, 2012— The upcoming desktop BI software, esProc for data computation and data analytics has many outstanding highlights. Developed by Raqsoft, the leading provider of desktop BI software, the anticipated esProc will greatly enhance analysts’ work efficiency. The cell-style interface of esProc makes codes presented with natural formatting, natural alignment, naturally indent and thus makes typesetting unnecessary, which saves time for focusing on analysis. 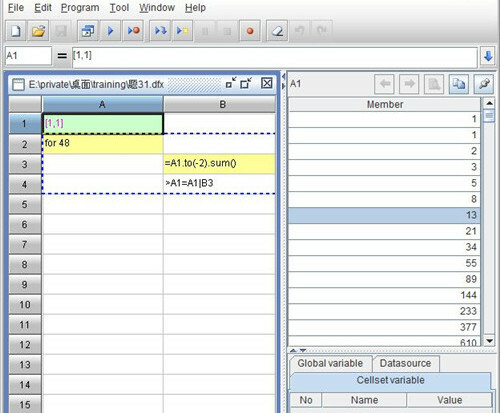 Besides, the Excel like interface enables analysts to write code in two-dimensional way which conforms to human thinking mode, reducing period of learning. What’s more, the neat and clean cell-style codes in esProc enable analysts to visually organize and arrange the relationship between computation steps, and thus easier to pierce the heart of a problem. Complex computation always causes headache to analysts, project managers, accountants, etc. due to the reason that it’s time consuming to solve with traditional business intelligence tools like SQL. 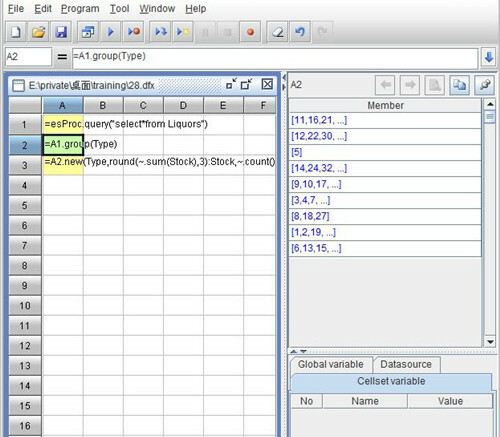 While in esProc, the new generation desktop BI software, such kind of computation is simplified with the step by step computation feature. The step by step computation function of esProc breaks a complex objective into several simple and small objectives. And the previous results can be referenced by row and column, solving complex computation quickly. In actual business, the computation usually relates to grouping. However, it is very difficult to conduct such kind of computation with traditional business intelligence tools, such as Java or other high level programming languages. With this desktop BI software, such kind of problems can be solved effectively by its powerful grouping functions. This function completely covers a variety of situations, which is more agile and easier to use. In esProc, the grouping results can be reused for secondary processing, such as sorting, query, and re-grouping. Besides SQL supported direct grouping, esProc grouping can be based on external data set instead of the original one, such as from the parameters, other data sets, etc. Grouping under the Boolean conditions is also supported.